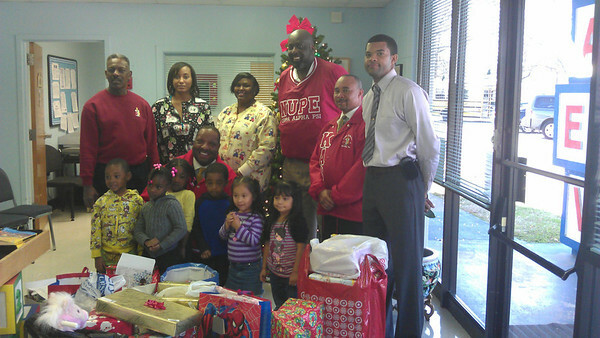 The Greenville (S.C.) Alumni Chapter of Kappa Alpha Psi Fraternity, Inc. sponsored a program called Kappa Klaus. This program was sponsored through the Parker Head Start Center in Greenville, S.C. Brothers purchased Christmas gifts for eight children that ranged from toys to clothing. The age range for the children was 6 months-10 years old. Not only did the children receive presents, but Bro. Carlos J. Littlejohn also read a story to them. The event was well received by the staff and children. The Parker Head Start Center and the chapter hope to make this an annual event.